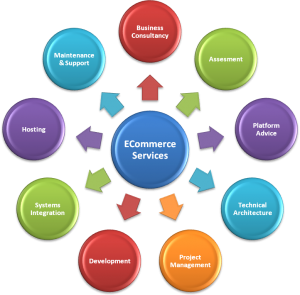 We all have to admit that nowadays most retail companies develop online. It is sometimes cheaper, usually pleasant experience and always more comfortable, because it can be done from your mobile device. For all these online markets the purpose of existing is one and only - attracting clients. Their popularity depends on the advertising each of them gets, but the main purpose is the same. Nevertheless, as a business owner that don’t differ you from being a customer, because nowadays mostly everything is done online. This comes to a convenience, because for example online banking is a service that none of us wish to stop using. It’s convenient, much easier and it’s green. Another point to e-commerce is to be known among people. The more people decide to use your online services, the more customers you get which steps up your game on the market. Advertising is not all that you need in order to achieve that, but a customer care office as well, where the team who maintain it must know their job. If you get an unpleasant feedback from a client, you can be assured that there will be more. It is very hard to please everyone, but there are certain techniques that can help in situations like these. If you’re planning an expansion of your business or you just want to find the best partner to help you with increasing client loyalty and support you while you’re growing and reaching new levels, we at Call Centre Support UK are happy to prove you that we’re worthy. We can help you in keeping your customers delighted throughout the entire customer life-cycle and we can standardize your processes. We are confident in our team of professionals with excellent English who can take your customer care on the next level.